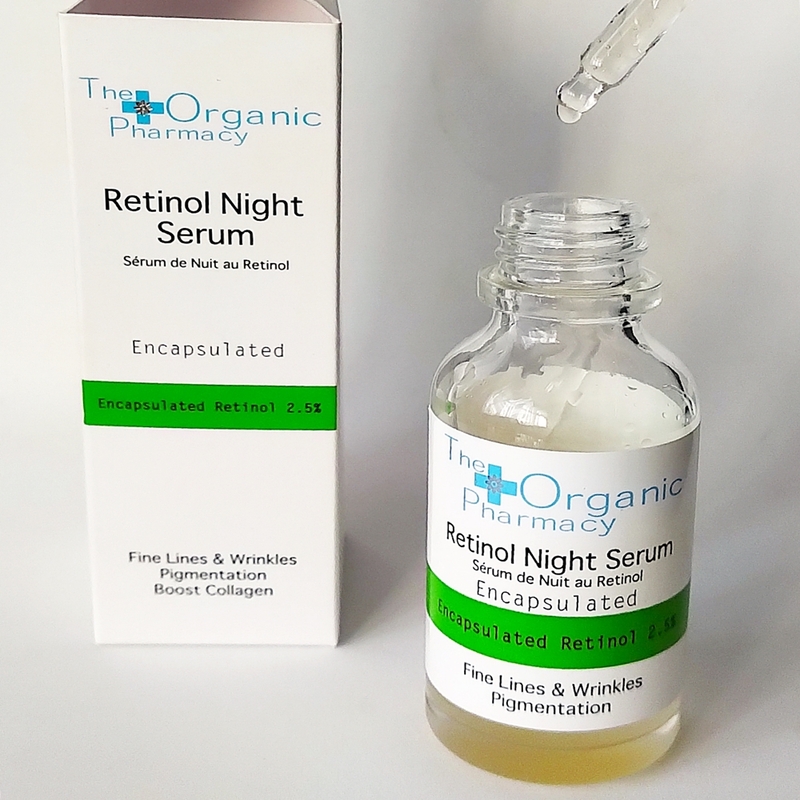 Home / SkinCare / The Organic Pharmacy Retinol Night Serum. 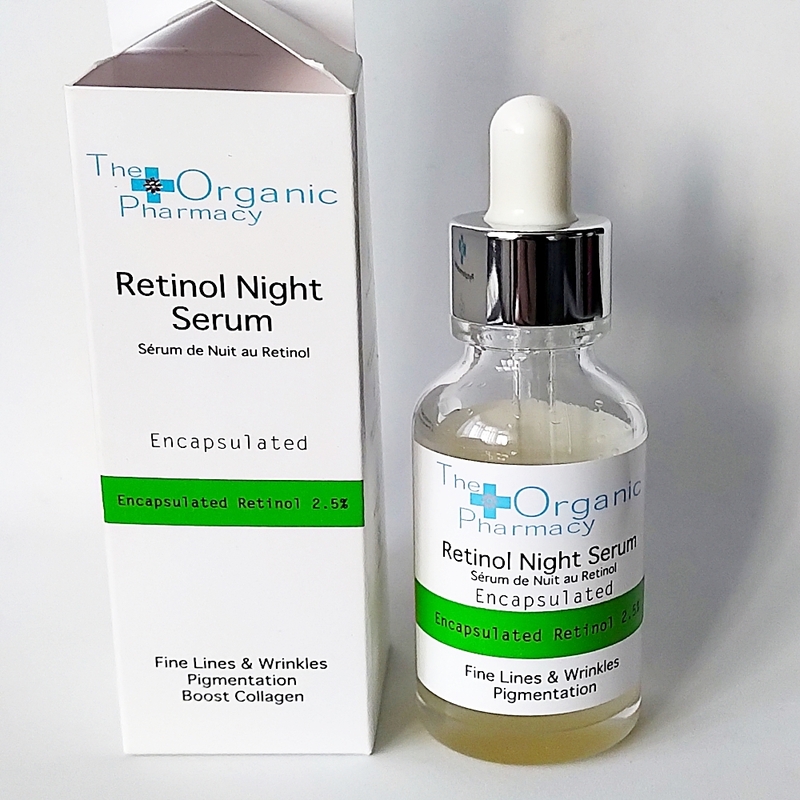 Boost your usual night skin care routine, when incorporating the organic pharmacy retinol night serum that targets uneven skin tone, fine lines and wrinkles, while also boosting collagen for elasticity and plumpness. The gold-standard ingredient (Vitamin A) is used widely in many different skincare products because it is proven to work in addressing and improving some skin conditions such as acne, as well as addressing the signs of ageing. Retinol is a derivative of Vitamin A and is known to be the gentler form of retinoic acid, though it is recommended to start at a lower concentration to build the skins tolerance to this wonderful skin care ingredient. Disclaimer: I was sent the product for free because I belong to the LoveLula accredited blogger program, this does not change or influence my opinion expressed in my blog posts. The organic pharmacy retinol night serum 2.5% includes an encapsulated retinol that protects the molecule from becoming unstable. Retinol used in some formulations can break down when exposed to oxygen and light, this is why sometimes you will find a retinol product either in a metal or air tight packaging to minimise this effect. Encapsulated retinol is a newer technology that protects it from spoilage and keeps your products shelf life to last longer. The other advantage is the retinol is most active when applied to the skin because the encapsulation controls the delivery and provides better penetration through the layers of the skin. Hamamelis Virginiana Water - Functions as skin-conditioning to help with dry or damaged skin, while also restoring suppleness. Glycerin - Acts as an effective emollient helping to keep skin moist and soft, while also acting as an humectant that draws moisture to the skin. Sodium Lactate - Naturally occurring humectant that acts as a moisturiser, it is found in the skin and has been to shown to have some skin-lightening effect. Aqua (Water) - Used in formulations to help penetrate and be absorbed by the skin. Citrus Grandis Peel Oil - A natural astringent that helps tone and firm the skin, while boosting circulation and detoxifying the skin. Algin - Obtained from brown algae and known as a marine plant extract, it is used in formulations for texture enhancement and for its antioxidant/emollient benefits. Retinol - Boosts collagen, speeds up cell turn over, unclogs pores. Dehydroacetic acid - Used as a preservative to prevent the growth of microorganisms that can spoil products. Benzyl Alcohol - Used to help other ingredients penetrate efficiently and help the texture/weight of a formula. Chondrus Crispus (Carrageenan) - A seaweed extract that contributes to healthier skin, while also helping to protect skin from UV rays. Xanthan Gum - Used in formulations for product texture, while also showing some signs of hydrating the skin. Lecithin - Restores hydration and helps skin feel smooth by its emollient action. Gluconolactone - A gentle polyhydroxy acid that offers skin-conditioning benefits by drawing moisture to the skin and stopping moisture loss by forming a barrier. Sodium Benzoate - A preservative used to keep your product from spoiling. Sorbic Acid - Protect and prevent growth of microorganisms within the formula. Limonene - Antioxidant and calming properties for the skin. Citral - Used in the synthesis of vitamin A, it is also used as a fragrance ingredient. Linalool - Used as a fragrance ingredient. 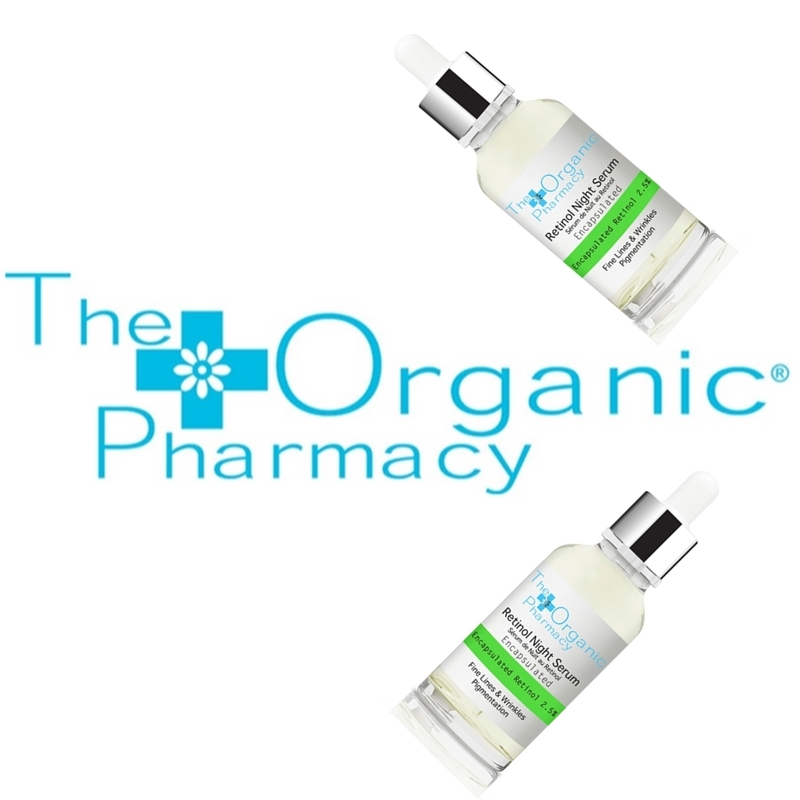 Grapefruit Oil - Antioxidant that helps fight free radicals that can cause signs of ageing. Witch Hazel - Soothes the skin and helps to reduce inflammation, it is also great for oilier skin types because it is an astringent. Applying one full dropper to the face, neck, and decollete to ensure even coverage, the serum does glide over the skin easily with a light (barely-detectable) citrus scent. It does absorb really quickly so I would suggest on application to apply section-by-section starting from the forehead and working your way down to ensure an even coverage. Skin is left feeling soft and smooth, but I do have to follow up with a gel or a moisturiser for when my skin needs extra hydration. I have noticed my skin-tone looking more refined and my whole complexion looking much more brighter, just don't forget to protect the skin the following morning with a high SPF factor! Find out more about this retinol, your skin may just benefit from it when applying it at night. X Neil. I've never heard about this product before!